To be a successful manager you have to practice and even more than this you really need to go through a busy day of a mom that runs a supermarket. You are asked to be multitasking and it seems crazy because there are so many things to do around the place so you will make it functional and ready to serve customers. It seems like the mom business shows you actually how is like to have and manage a supermarket which is pretty cool when you think about it. There are so many tasks you should accomplish that is the reason you need to start working right away. As a top manager, you've got the biggest responsibilities on you and that could be fine if you are an organized person and you like to solve problems. In this mom game, you are going through three phases in order to finish the game, but to be able to move from one to another you must complete entirely each one of them. Begin with the cleaning part and make sure the place looks like a proper store where your clients could buy from. Wash the floors, remove the spider web and throw away the trash. The purchase step is just when you make the inventory and see what kinds of products are missing or rotten, so you can replace them to have a full grocery. There is also an interactive game in the refilling step where you have to find the clothing stuff and place them where they belong. When you are done the customers are free to shop and in this part, you will be helping them as well. You are assigned to do the billing process where you are weighing the fruits or other products then you are recording the products in your supermarket database and charge the clients for the stuff they buy. And this is how a crazy day of a mom at a supermarket is. Congratulations! I got a job at the supermarket. It is the best supermarket in town. And therefore? Are you ready to become part of this local supermarket? 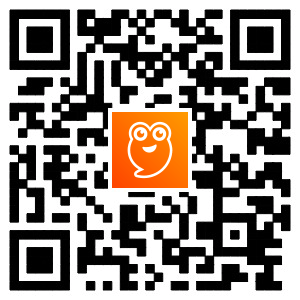 Come and look around the market and complete all the challenging tasks assigned to you. 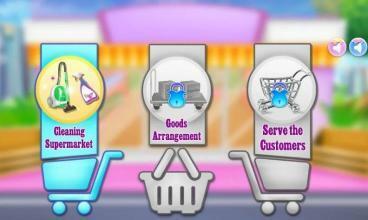 Your first task will be very fun in girls games Working in the supermarket can be fun and enjoyable. You duty is to clear the entire supermarket corridors. Start your business by picking up trash and throwing it in the trash. You'll see lots of spider webs everywhere, and these spots are cleared everywhere to be illustrated during the cleaning time games. Sweep the floor, clean it with a mop, and clean the fruits and vegetables and place them on the shelves to make them ready for display to customers. Use cleaning supplies to complete the cleaning and surveying task within a time. It's time to become a reformer! Once you have cleaned up the monk, repair and repair all the walls, windows and puppets of the little children with the installation tools available in the crazy adventure mania game just like you do in repairing a home or repairing a Finish the task in time devoted to cleaning games. Clean up the mess! Fix the broken pieces and smash all the records of beautiful cleaning games in this cleaning baby game.